BBM for Android and iOS already re-launched both in play store and on itunes now available and can be installed and used properly to download can be viewed here. What will happen for the next if BBM can be used in android and iPhone even on the PC, the BBM can be used by using android emulator. Are you one of those people who like to use BBM? if yes then you may be interested to install BBM in another Hand Held. BBM can be used in PC but using the android emulator but this time I have not made the tips but you can see how to install android emulator on PC that I have made in some other post. One of them are install bluetsacks, install android sdk and android x86. I am pleased with the presence of BBM in android because of the first I want to use BBM, but I don't have a Blackberry Handheld, I felt the desire to achieve it although I don't have many friends on my BBM contact. 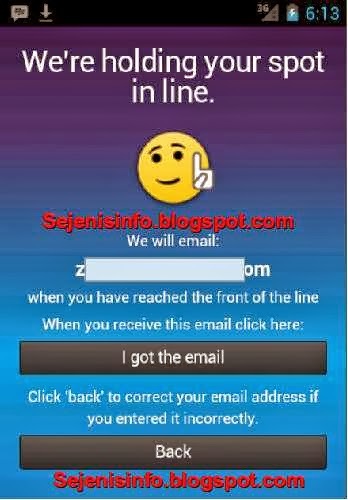 While it was after I attended some forums on how to install BBM on android in fact there are some issues which is almost the same at the time would go in with your email address and if BBID just made ​​and wait for confirmation to the email address inbox if you in waiting list you must wait for email confirmation. 1. 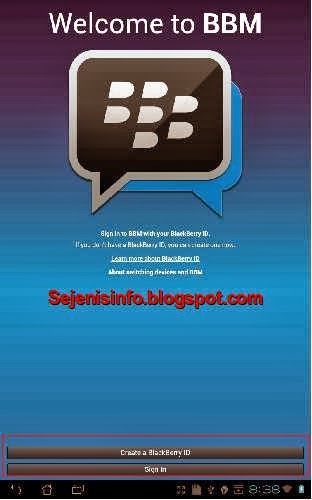 To not have BBID please register in blackberryid.blackberry.com or register at the time the application was first opened click "Create a BlackBerry ID" button, the picture below looks a little different because I use BBM for Android on tablets. 3. 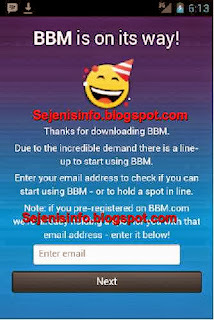 If you've installed the application then open BBM apps and email entries are already registered in blackberryid earlier and wait for the confirmation email in your email inbox. Note: However, if at the time of opening the application of fuel and there is an error message like the connection is not found or no connections found as in the picture below. If it happens like the picture above then the next step is to close the first application by pressing the home button and remove BBM application that have been opened, then reopen the BBM application, do a few times if the error message still appears to go to enter email step. 4. After third step already done go to the next step then enter your email address is already registered in BBID and wait for an email confirmation from BB to our email inbox, so we have to open the email in question to open the confirmation, but prior to that had a list and already have an account BBID then no need to check email instantly be able to wear again. 5. And this is the look of the picture below is the first confirmation we wait for an email from Blackberry if it is in our confirmation just click the button "I got the email" already had confirmation proceed to the next step. 6. 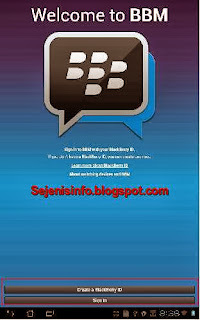 Once inside step further then please follow the instructions given in the BBM application or you can see the user guide here.